The New Registration Plate Is Here! NEW 2018 number plates are here and there is a quick and easy guide to when the plates will be introduced, what the numbers and letters mean and why they are being used. New DVLA number plates for March 2018 were launched yesterday. Number plates have a six month life before new ones are released. Every six month new plates with an updated date come into circulation.The new 2018 ’18’ plates that arrived on March 1st will run until the end August 2018, before the ’68’ plates are introduced on September 1st. New DVLA number plates 2018 will be introduced in a couple of weeks, here’s a simple guide to what the numbers and characters on number plates refer to. 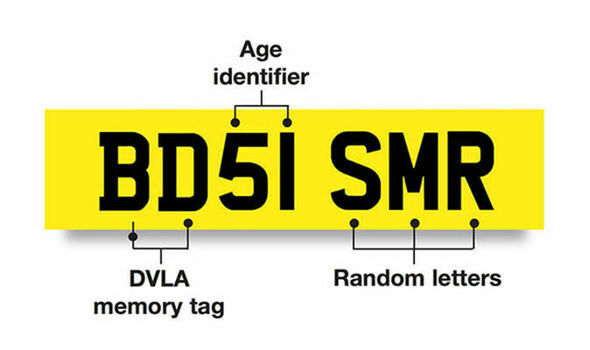 The first two letters on the number plate are the ‘DVLA memory tag.’These letters represents the region the vehicle was introduced – the first letter refers to the region while the second the local DVLA offices. For example the L at the start of a number plate stands for London. However, where it gets confusing is that multiple letter can signify the same DVLA office. It is not uncommon, however, for cars with similar letter sequences to be from the same manufacturer.After these letters there are two numbers on the first half of the plate are the age identifier. The current numberplate system was introduced in 2001 with the labelling of new cars starting at ’01’ in 2001 followed by ’52’ in the following September. After 2010, however, the half year mark number was changed from five to six – for example November 2009 got 59 and November 2011 got 61. Before this point licence plates used a single letter that represented the year it was registered in. This system began in 1983 with the letter A and ended in August 2001 with ‘Y’. After the number identifier is three random letters.